What are the differences between an internship and a volunteer position? What is a good internship? A good intern? These were just a few of the questions discussed in this panel with Dr. Petra Chu, Seton Hall University, Antonia Moser, Newark Museum, myself Pam Schwartz, student at Seton Hall University, and Pam Veenbaas, Smithsonian Institution. Presenting four different perspectives from the point of view of an educator, an internship supervisor, a student and an internship coordinator, the panel discussed how to strategize internships in a way that can provide value to both the institution and the intern. I have been fortunate to have interned at several types and sizes of museums, under many different personalities. From my perspective, I find the most important things an institution can do are organize, communicate and evaluate. When considering advertising for an intern, sit down and brainstorm all of the tasks/projects they can do. It is better to have more items than to have a bored intern. Write appropriate postings. Do not mislead an intern into thinking they will learn something they will not, or that nobody at the institution themselves knows how to do. Involve us in day-to-day activities. It is not hard to let an intern sit in on a meeting or seminar and you might be surprised at what we can learn simply by attending. On the first day be clear about your expectations with the intern. Your policies on dress, attendance, arriving late, professionalism etc. You should also make it clear who the intern will report to. Provide your intern with some form of evaluation part-way through the internship. This lets you inform the intern of their strengths and weaknesses, allowing them to be aware of what they should improve upon. The most important things an intern can do are communicate, be honest and evaluate. When applying or interviewing for an internship, be prepared with questions and interview the museum as much they interview you. You will be dedicating a large amount of time to the institution and you should be careful that it will be a good fit and you will gain from the internship what you hope to. If you don’t like your internship part way in, are unhappy or do not feel like you are gaining what you had hoped, then just be honest. Tell your supervisor. If they don’t know you are unhappy, then it is hard for them to remedy the situation. Evaluate your internship in the same way your supervisor might evaluate you. Is it meeting your expectations? Are you engaging in the activities you thought you would? I feel this is an excellent definition of what an internship should be and how it differs from a volunteer position. Antonia Moser, registrar at the Newark Museum, discussed the necessity her institution has for interns and all the amazing opportunities they have to offer. 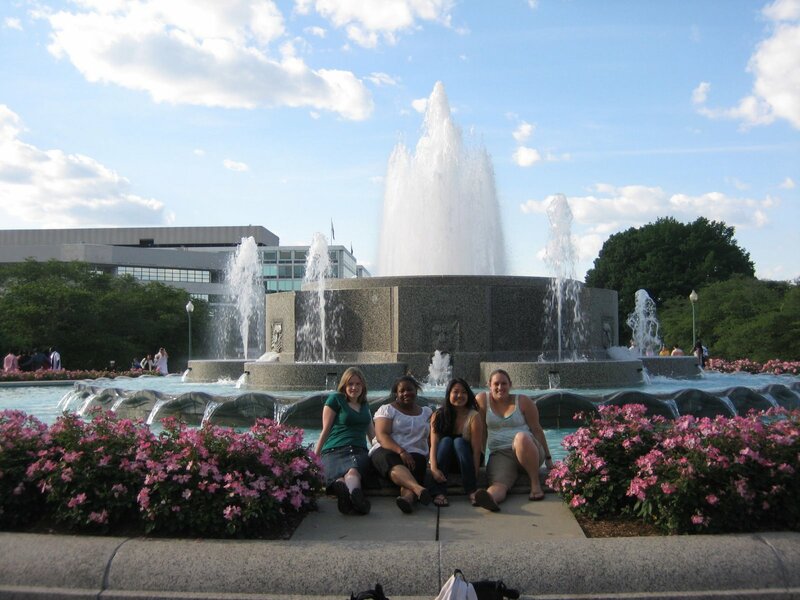 As a mid-sized institution in a difficult economy, interns have much to offer the museum and the museum in return can give the intern qualified experience in their field. An interesting point Antonia brought up was about the difficulties sometimes had with enforcing professionalism in interns. Often, the students are not being paid and making certain demands of their time, punctuality and dress may be daunting for supervisors. However, internships are a study in the real life of a student’s chosen career field and they should be expected to act appropriately. Again, communication is key: supervisors should be upfront immediately about punctuality and dress or professional expectations for students. Supervisors should also not forget to lead by example! Dr. Chu, department head of Museum Professions at Seton Hall University discussed the difference between an internship and a volunteer position. Most interns are students paying to receive academic credit from their internship. Because of this, students should receive training/education equivalent to a (usually) three credit course at their home institution, which applies to their career field. There is also the differentiation between an internship and what should be a paid position. 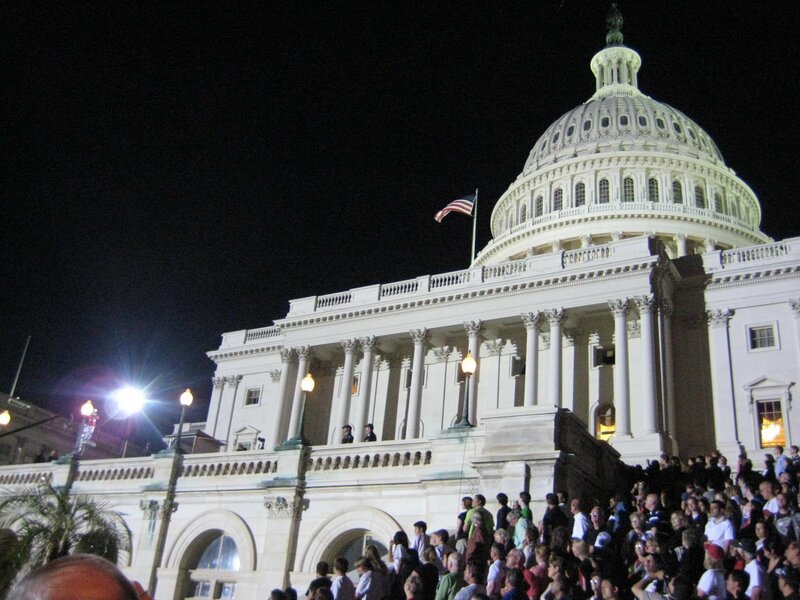 The U.S. Department of Labor defines six criteria for determining between these. From an academic standpoint, Petra struggles with museums offering “internships” that are not providing students with qualified experience. An institution should not offer an internship merely to get the work done because they themselves cannot complete it, or because they themselves do not know how. 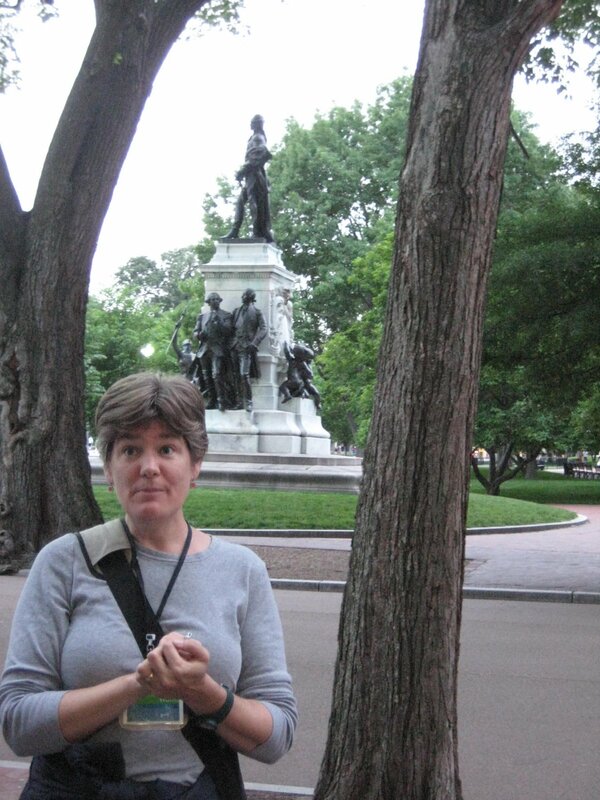 A couple of nights ago Alisa, Leslie, Casey and I went on a haunted walking tour of Lafayette Square. It was a lot of fun. 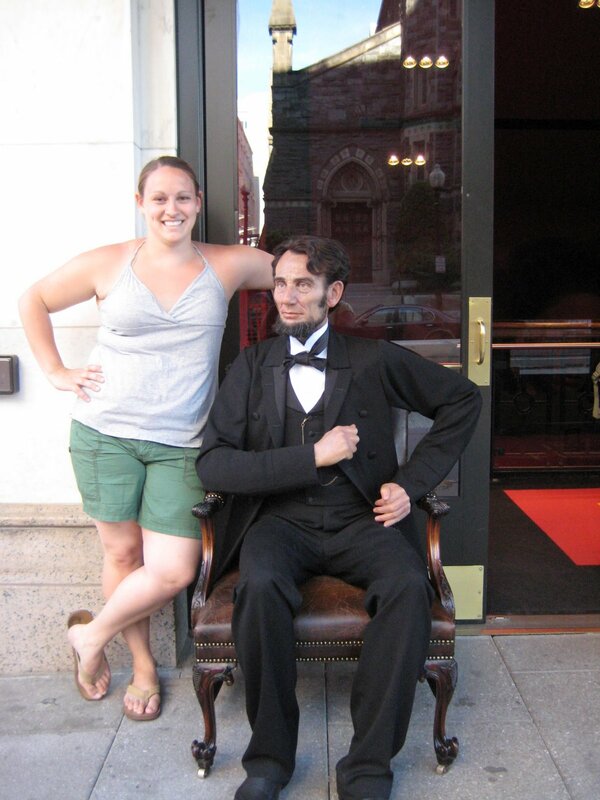 Heard stories about Abe Lincoln, Dan Sickles, Tecumseh, etc. It was all very interesting. I now want to read the book American Scoundrel which is about Dan Sickles, but they sure don’t have that book ANYWHERE in D.C. I was going to get it to read on the plane. This was our tour guide along with one of the monuments on the square. 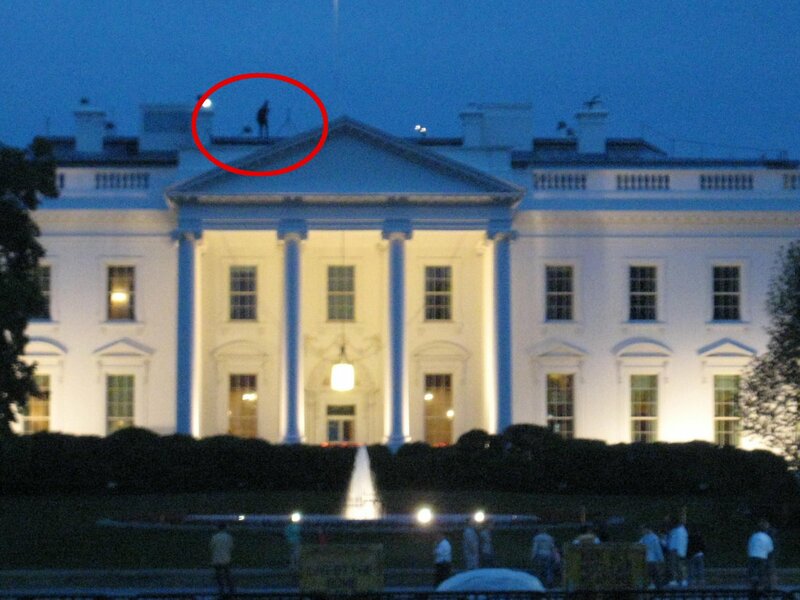 So, here is a nice picture of the Whitehouse…with a random guy on the roof. We had a long metro ride home...when we saw this advertisement on the wall. We proceeded to do EVERYTHING on this list. It was fun and kept us busy. 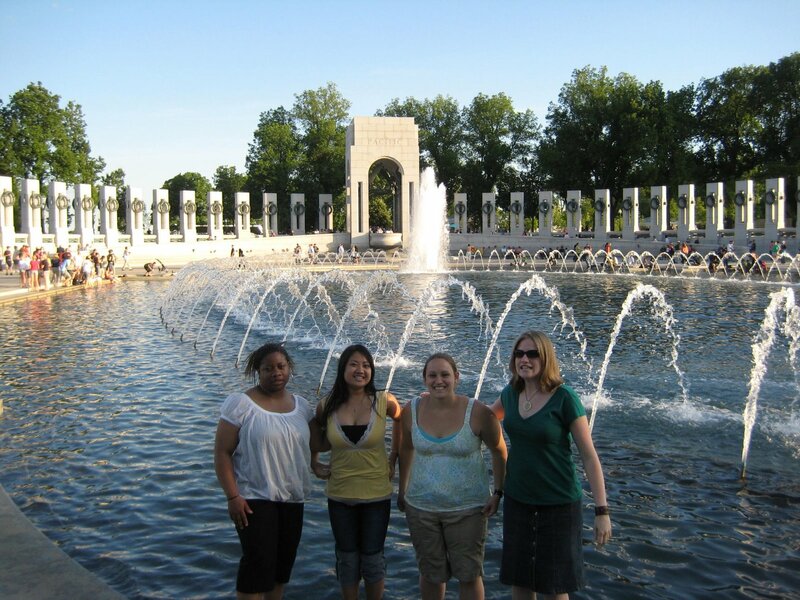 We went to the Mall to peruse the monuments when we came upon this fountain. 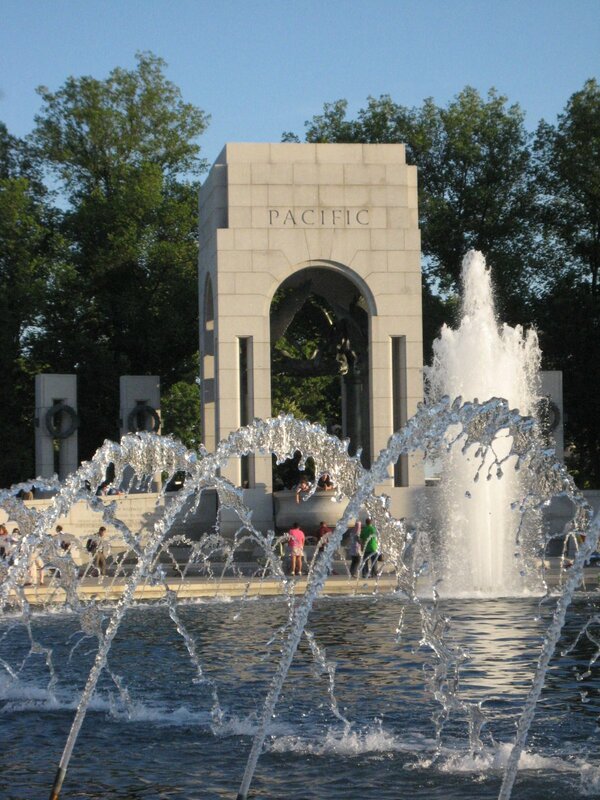 Standing in the gorgeous WWII Memorial. 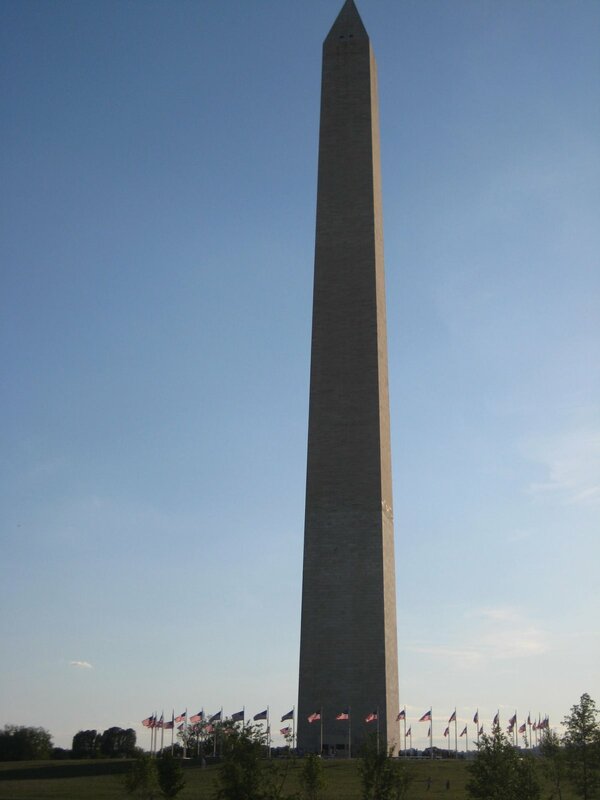 I did a day on Washington D.C. today. Roomies slept in so I took off early this morning. I started by going to the Eastern Market, Mom would been amazed…It was BIG and there was a lot of stuff. There were a lot of thing I wanted but I was good and didn’t let myself get anything. Next I went to the National Portrait Gallery as part of my scavenger hunt assignment (even though I had planned on going anyways). I had to go to the presidential win g and chose my favorite portrait. 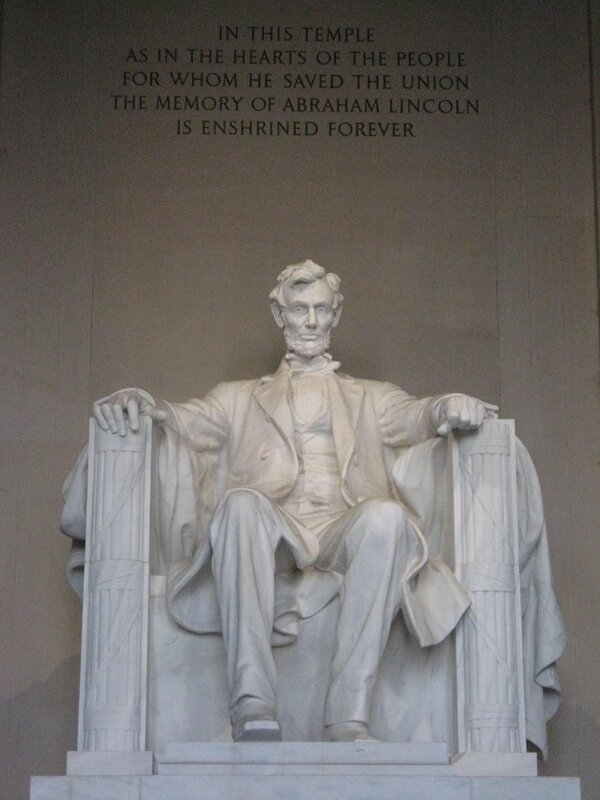 My favorite was a photograph of Abraham Lincoln a month before his 2nd inauguration taken by Alexander Gardner, I feel like his face just has a lot of conviction in it. After this I wandered through a few shops and went down to the Mall. 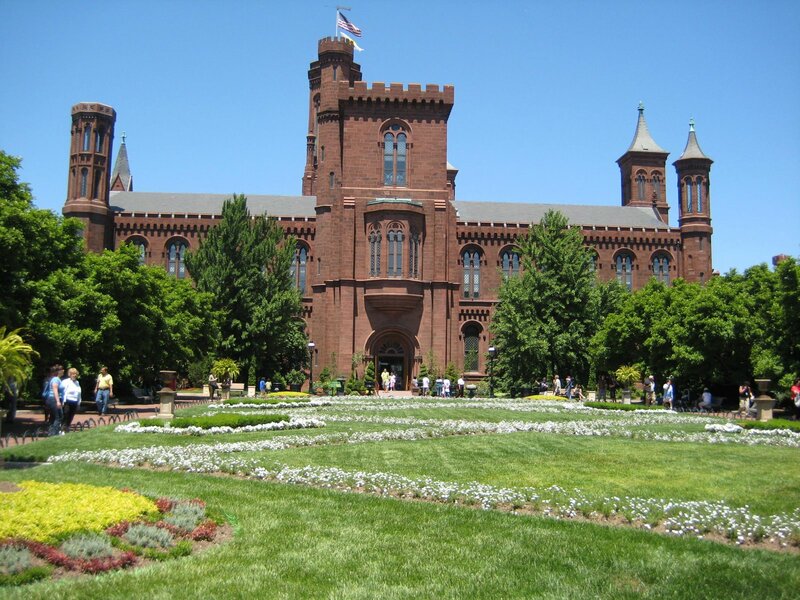 Saw the Smithsonian Castle, Sackler Gallery, Freer Gallery, and African Art Gallery. 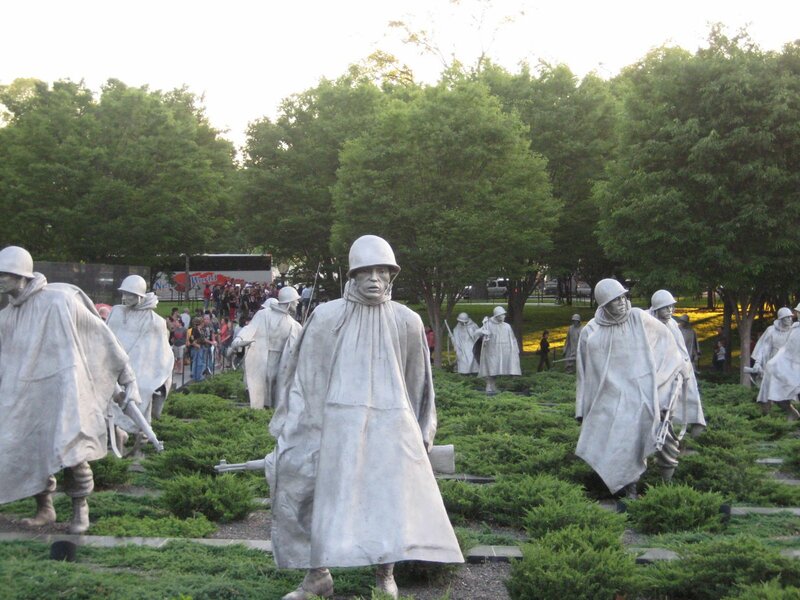 As well as the sculpture gardens, loved them.I watched the Rolling Thunder parade. 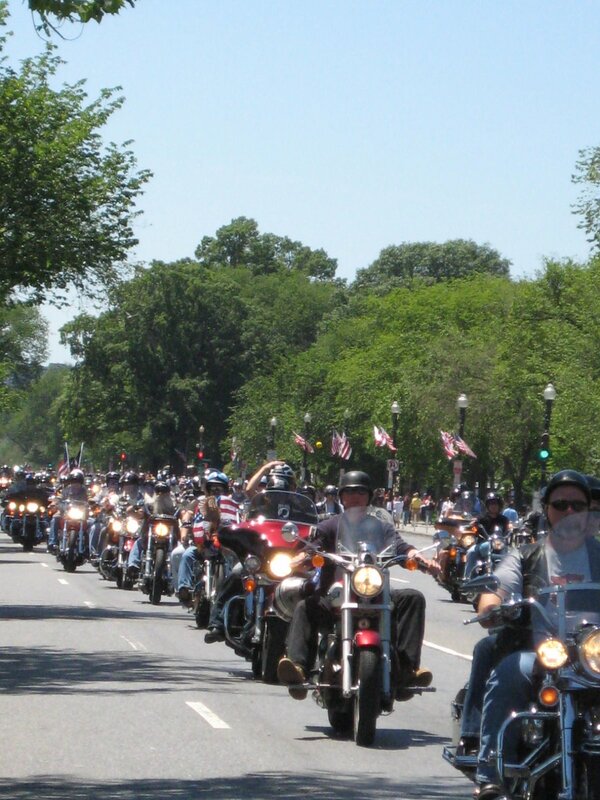 Rolling Thunder is all of the veterans and/or motorcycle riders bring their bikes and ride them around the mall. There were THOUSANDS upon THOUSANDS of bikes there today. It was loud, but it was fun to see all of the diversity amongst the bikers. Abraham Lincoln a nd I hung out for a bit today (outside the wax museum that is).We went to the Memorial Day concert which was really REALLY good. 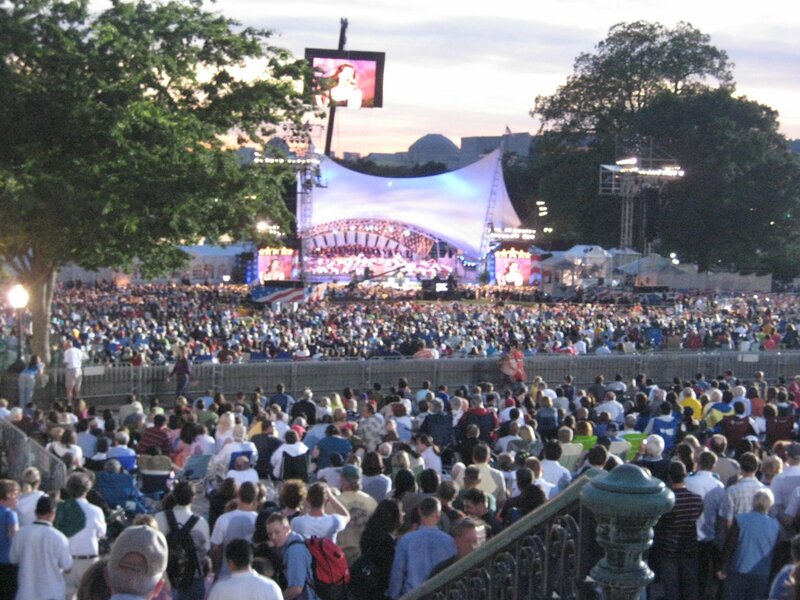 Performers included Colin Powell, Dennis Leary, Idina Menzel, Gary Sinise, Charlie Durning?, Sarah Brighton, The National Symphony Orchestra, Rodney Atkins, John Schneider, Joe Montainia, and the U.S. Army Herald Trumpets.